THERE are just the two undefeated teams left in the Women’s SBL for 2019 after the Lakeside Lightning’s big Round 4 win over the Joondalup Wolves while the Rockingham Flames continued their winning ways and the Kalamunda Eastern Suns broke their duck. 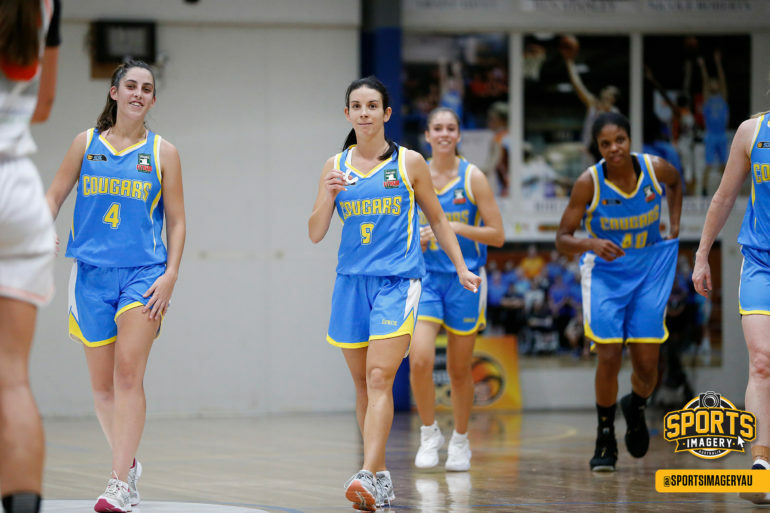 Round 4 of the Women’s SBL began with five matches on Friday night highlighted by the battle of the undefeated teams, Lakeside and Joondalup. The reigning champions proved too strong with the Lightning winning 83-63. The Perry Lakes Hawks also celebrated the 200th game of Rebecca Mercer with an 81-72 win over the Mandurah Magic while the Willetton Tigers beat the East Perth Eagles 92-60, the Kalamunda Eastern Suns beat the South West Slammers 69-62 and the Rockingham Flames downed the Perth Redbacks 69-56. There were then two more games to close out the round on Saturday night with the South West Slammers beating the Perth Redbacks 85-78 and the Warwick Senators defeating the Willetton Tigers 64-54 in their first game of the season at Warwick Stadium. Following four rounds of the Women’s SBL season, the Lakeside Lightning (4-0) and Rockingham Flames remain out on top as the two remaining undefeated sides. The Joondalup Wolves (3-1) remain third while the Mandurah Magic are now 3-2 and both the Warwick Senators and Cockburn Cougars are 2-1. The Willetton Tigers are just inside the top eight at 3-3 ahead of the 2-2 South West Slammers and Perry Lakes Hawks. 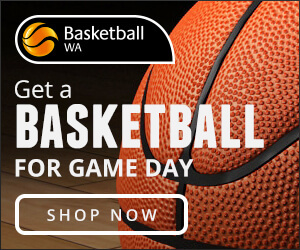 The Kalamunda Eastern Suns are 1-3 while the Perth Redbacks and East Perth Eagles are both winless at 0-5. Willetton continued to build into the season nicely with a solid 32-point win over East Perth at Willetton Basketball Stadium on Friday night. The Tigers lost their first two games of the season to Cockburn and Lakeside, but they’ve now won their last three having won against Kalamunda and South West heading into hosting the Eagles on Friday night. East Perth was able to stick with Willetton for the first quarter but the Tigers pulled away in the second term with 25 points to 13 to lead 47-33 at half-time. The Tigers continued on with that momentum in the second half to end up leading by as much as 33 points before winning the game 92-60. It improved Willetton to a 3-2 record on the season while East Perth remains winless having still not won since 2017. The Tigers were able to force the Eagles into 30 turnovers and scored 28 points off those while also doing well inside with 52 points in the paint while shooting at 47 per cent from the field. Young gun Imogen Ayliffe played their best game of her fledgling SBL career with 19 points and four rebounds for Willetton on an efficient shooting night with 8/12 from the field and 3/3 from the foul line. Desiree Kelley added 19 points, six rebounds, six steals and four assists for the Tigers too in just 22 minutes of court time. Laina Snyder contributed 10 points and eight rebounds for Willetton while Emily Counsel added nine points, three rebounds, three assists, three steals and two blocks, and Sophie Maines eight points, five assists and three rebounds. Janee Johnson top-scored for East Perth with 16 points to go with six rebounds, six assists and five steals. Cameron Flynn was impressive with 13 points and four rebounds on 6/11 shooting with Fiona Heart returning from injury to play the 199th game of her SBL career that began in 1989 with eight points, four rebounds and four assists. Bendat Basketball Centre hosted a Grand Final rematch from 2017 on Friday night and it didn’t fail to deliver between the Perry Lakes Hawks and Mandurah Magic. It was the Magic’s first visit back to the scene of last year’s Grand Final where they were overrun in devastating fashion by the Lightning to lose the championship game for the second year running. But Mandurah came out strongly on Friday night racing to a 25-12 advantage by quarter-time. Perry Lakes hit back in even stronger fashion, though, piling on 27 points to 11 in the second quarter and another 31 to 13 in the third to lead at one stage by as much as 21 points. The Magic were never going to go down without one more crack, though, and they did outscore the Hawks 23 points to 11 in the last quarter but Perry Lakes managed to hold on for the nine-point victory to celebrate the 200th game of Rebecca Benson in the SBL. Jamie Cherry continued to show what an impressive import guard she is going to be for Perry Lakes this season finishing the night with 18 points, eight rebounds, eight assists, six steals and two blocked shots. Sarah Donovan continued her career-best run of form to start the new season with 16 points, five rebounds, two assists and two steals while Bella Green was impressive in 21 minutes off the bench with 15 points and five boards. Nikita Martin contributed nine points and four rebounds for Perry Lakes with Rebecca Benson finishing with eight points, three rebounds and two assists on her milestone night. Mandurah welcomed Ginka Palusna and Bree Klasztorny back into their line-up while still missing Carly Boag with Palusna playing almost 32 minutes for 16 points, nine rebounds, four steals and two blocks. Emma Klasztorny continued her outstanding start to the season with another 17 points, 11 rebounds and three assists with older sister Bree marking her return with 13 points, four boards, two assists and two steals. Casey Mihovilovich did all she could to lift Mandurah with 12 points, four assists and four steals while import Delany Junkermeir couldn’t quite have the same impact as last week with seven points on 2/6 shooting. 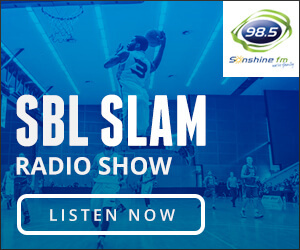 The Kalamunda Eastern Suns were back on their home floor on Friday night and came away with their first win of the season, beating the South West Slammers 69-62. The Suns had a couple of tight losses to the Mandurah Magic to start the season before losing last week at Willetton, but they came out strongly to open proceedings at Ray Owen Sports Centre on Friday night. Kalamunda put up 23 points in the first quarter while giving up just 12 to the Slammers. But South West did close the gap in the second quarter to cut the Suns’ lead to 40-35 at the main break. Things remained tight through the second half but the Eastern Suns maintained their edge to end up winning by seven points to record their first win of the season. Jewel Williams proved the difference on the night playing what was likely the best and most commanding game of her 50 appearances in the SBL. She finished the night with 26 points and two steals on the back of shooting 10/24 from the field, 3/9 from three-point territory and 3/3 from the free-throw line with the Suns missing veteran point guard Lauren Jeffers and still without an import. Jennie Rintala stayed out of foul trouble and as a result played all but four minutes for the Suns for 13 points, 20 rebound, three assists and two steals. Rebecca Motroni contributed seven points, seven rebounds, four assists and three steals, Georgia Adams six points and Chanah Crugnale six points, six rebounds and two assists. Makailah Dyer put in an impressive performance for the Slammers despite the defeat ending the evening with 19 points, four rebounds and four assists. Brittni Montgomery was efficient with 11 points and 11 rebounds but the Slammers didn’t get the full impact of her capabilities and advantages inside. Bianca Donovan also had nine points, six assists, four rebounds and two steals for South West, Kate Fielding nine points and five rebounds, and Courtney Bayliss seven points and five boards. There was plenty of intrigue surrounding the battle of undefeated teams at Lakeside Recreation Centre on Friday night, but in the end the defending champion Lightning made an impressive statement winning by 20 points over the Joondalup Wolves. It had been an impressive opening to the season by both teams with Lakeside coming off winning last year’s championship and starting 2019 with strong wins against Mandurah, Willetton and Perth. It had also been a strong start for the Lady Wolfpack under new coach Charles Nix with wins against the Hawks, Senators and Eagles. So the stage was set with both coaches having led their teams to the top two positions at the end of the 2018 regular season too, Craig Mansfield at the Lightning and Nix then with the Perth Redbacks. Things remained close through the first quarter but Lakeside pulled away in the second with 28 points to 13 to go into half-time leading 47-28. The Wolves did try to mount a fight back in the third quarter with 23 points to 16 but it was to no avail with the Lightning proving too good in the last term to run out commanding 83-63 winners. That means the Lightning remain undefeated after four games this season and are on a 21-game winning streak dating back to last year. The first loss of the season for the Wolves leaves them 3-1. The pressure from the Lightning worked well throughout the game forcing the Wolves into 20 turnovers from which they scored 19 points. The Wolves did win the rebounding battle by three but it was an efficient Lakeside performance with 24 assists on their 30 made field goals, including going 15/42 as they lived and died by what happened beyond the three-point line for much of the night. Ali Schwagmeyer put up a huge performance made up of 31 points, two rebounds and two assists for the Lightning while shooting 13/25 from the field and 5/12 from three-point territory. She had plenty of support too with GeAnna Luaulu-Summers contributing 14 points and five assists, captain Courtney Byrnes 13 points, five rebounds, five assists and two steals, and Jess Van Schie two points, 10 rebounds, five assists and two steals. Ellyce Ironmonger played the first of her 146-game SBL career against the Wolves and did well too with 13 points, 13 rebounds, two assists and two steals. Captain Amy Kidner top-scored for the Lady Wolfpack with 14 points and six rebounds with Kayla Steindl contributing 12 points, 14 rebounds and three assists. 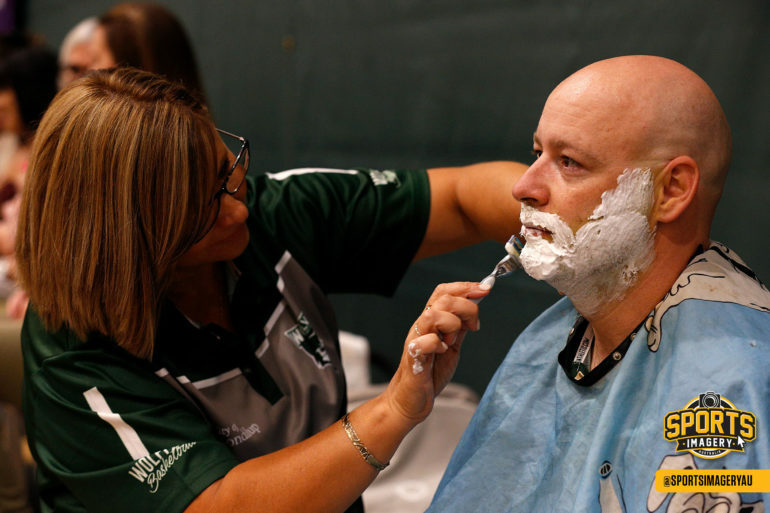 Amber Land also had 11 points, nine rebounds and three assists for the Wolves, and Mikayla Pirini eight points and three assists. 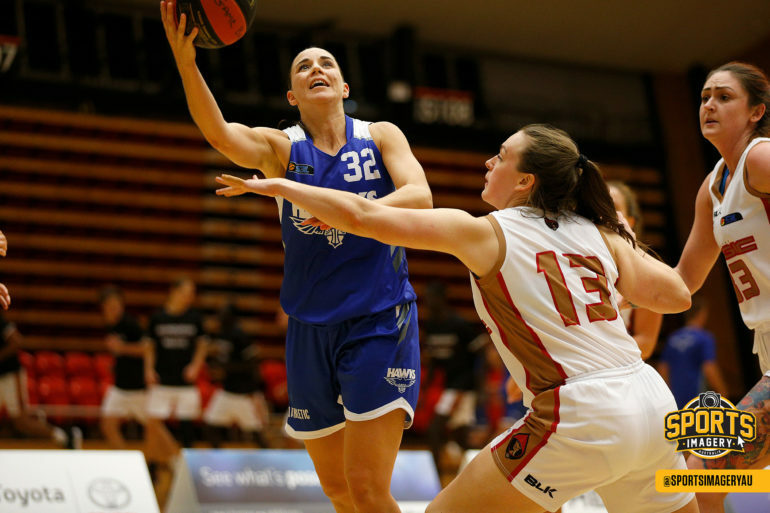 The Perth Redbacks were back on their home floor on Friday night searching for their first win of the season but it wasn’t to be with the powerful Rockingham Flames prevailing by 13 points. The Redbacks are still searching for their first win of the season under new coach Craig Allen. They have still yet to have the services of Lauren Mansfield and on the back of scoring just five points in the third quarter on Friday night, they weren’t quite able to open their account. Rockingham came into the game on fire to start putting up 27 points in the first quarter. Perth was able to stick with the Flames the rest of the way, but could never make up that opening quarter deficit. The Flames would go on to lead by as many as 20 points but the Redbacks had stayed within a degree of touch to cut Rockingham’s advantage to 42-30 at half-time. There was only 12 points scored combined in a remarkably unattractive third quarter with Rockingham scoring seven points and Perth just the five with the Flames still on top 49-35 at three quarter-time. The Redbacks did continue to fight and actually won the last quarter but could only bring the final margin to 13 points. The result keeps Rockingham on top of the women’s SBL with a perfect 3-0 record while Perth slips to 0-4 with a game to come on Saturday night. The Redbacks might have matched the Flames with 47 rebounds each but they did cough the ball up 27 times for Rockingham to score 18 points off. The Flames also scored 40 points in the paint and with Christina Boag coming off the bench, had 32 bench points. It was Boag who top-scored for the Flames with 20 points, seven rebounds and three steals with Janelle Adams 10 points, seven rebounds and three steals despite shooting 4/17 from the field and 0/5 from three-point range. Tayah Burrows added nine points, five rebounds, three assists and two steals with Ella Kennedy contributing nine points, four boards, three assists and three steals. Young superstar Nes’eya Williams was supremely impressive for the Redbacks with 20 points, 12 rebounds, four steals and three assists while Jess Jakens added 14 points, six rebounds, three steals and two assists. Saturday night saw the South West Slammers and Perth Redbacks both try to bounce back from Friday night losses and it was the Slammers who prevailed in a tight affair by seven points. The Slammers were coming off a seven-point loss at Kalamunda on Friday night while the Redbacks remained winless in 2019 losing to the Flames at Belmont Oasis meaning both had plenty of incentive to get on the winner’s list on Saturday night at Eaton Recreation Centre. The Redbacks came out and started well too on the road. They led 23-22 by quarter-time and by half-time had extended that advantage to 41-33. Perth would go on to lead by as much as nine points but there was never a double-digit lead for either side the entire night. 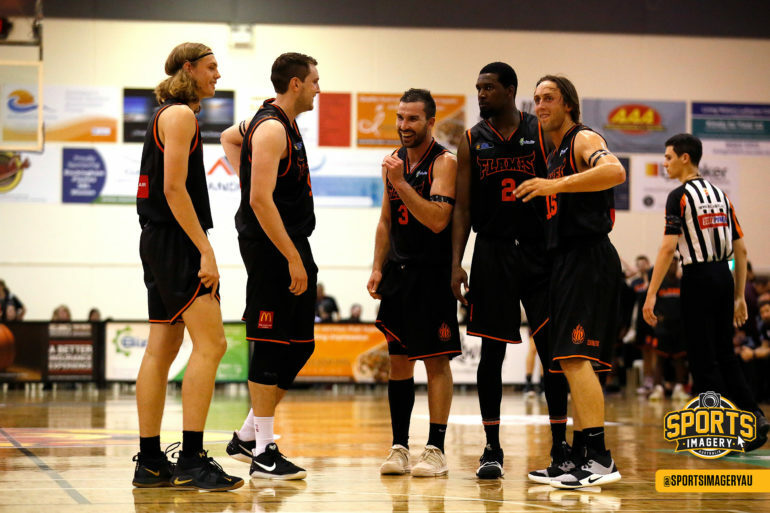 The Slammers began to close the gap in the third quarter and dominated the fourth period on their home floor with 30 points to 17 to come from behind and by seven points to improve to a 2-2 record while the Redbacks are 0-5. Slammers captain Courtney Bayliss had a strong showing willing her team to the win finishing with 23 points and nine reboundss on shooting 8/21 from the field largely made up of 6/15 from three-point range. Makailah Dyer had 21 points, eight assists and five rebounds too for South West with Aimee Coles contributing 11 points, Bianca Donovan 10 points, six rebounds, five assists, three steals and two blocked shots against her former side, and Beige Harris 10 points and seven boards. Rosie Deegan again tried to do all she could to inspire the Redbacks to their first win of the season with 23 points while Nes’eya Williams capped a monster individual weekend with 20 points and 12 rebounds. Denielle Lipscombe added 15 points too for the Redbacks before fouling out while Jess Jakens finished with 11 points, 10 rebounds and three assists. The Warwick Senators finally played a home game in 2019 on Saturday night and came away with a 64-54 win at Warwick Stadium over the Willetton Tigers. 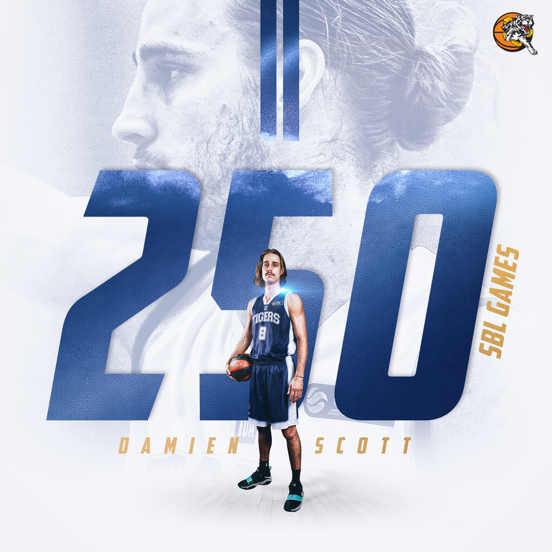 The Senators opened their season with a 12-point road win against the Redbacks and a 19-point loss to the Wolves, but had two weeks in between before hosting the Tigers at Warwick Stadium on Saturday night. The Tigers, meanwhile, were coming off a 32-point win over the East Perth Eagles on Friday night. Warwick started well on their home floor for the first time this year with 22 points to 15 in the opening quarter. There was then only 20 points scored between the two teams in the second term but that meant the Senators still led 33-24 at half-time. While the Tigers did outscore Warwick after half-time, the Senators did enough to come away with the 10-point win to improve to a 2-1 record to start the season despite just the one home game in the opening four rounds. Stacey Barr played her first game for Warwick to mark the opening home game of 2019 and she showed what a pure scorer she still is. Barr finished with 19 points and six rebounds. Bianca Villegas added 10 points, 12 rebounds and three assists for the Senators with Tayla Hepburn contributing 10 points and eight boards, and Nicole Jorre de St Jorre eight points, nine rebounds, two assists and two steals. Laina Snyder top-scored off the bench for the Tigers in 28 minutes of court time with 15 points, eight rebounds and three steals. Taryn Priestly added 10 points and five assists for Willetton, Emma Gandini eight points, four rebounds, four steals and two assists, and Desiree Kelley seven points, eight boards, three steals and two blocked shots.